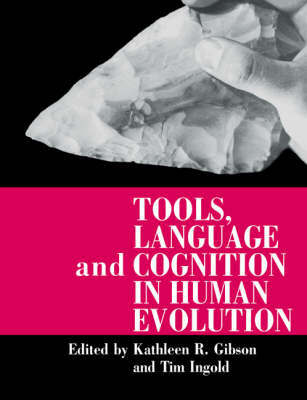 The question addressed by this volume is how human beings have evolved as creatures who can make and use more complex tools, communicate in more complex ways and engage in more complex forms of social life than any other species in the animal kingdom. Leading researchers from fields as diverse as biological and social anthropology, archaeology, linguistics, psychology, neurology and ethology have come together to present a unique interdisciplinary study of this central question in human evolution. The topics explored include the parallels between speech, manual gesture and other modes of communication; comparisons of the tool-using skills and imitative abilities of humans and non-human primates and the neurological links between the cognitive processes involved in language. This important volume will be essential reading for all those interested in human evolution, be they philosophers, humanists or scientists.